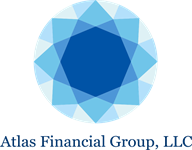 Here at Atlas Financial Group, we provide unparalleled service with employer sponsored retirement plans and individual wealth management. We are passionate about making a difference in the lives of our clients. Whether you are a small business owner wondering about your fiduciary duties, an HR representative hoping to educate your employees on saving for retirement, or an individual looking to plan for your short and long-term goals, we can help!